Another big thank you for the children reading at home 4 times a week this week. In other news our sunflower seeds are growing! 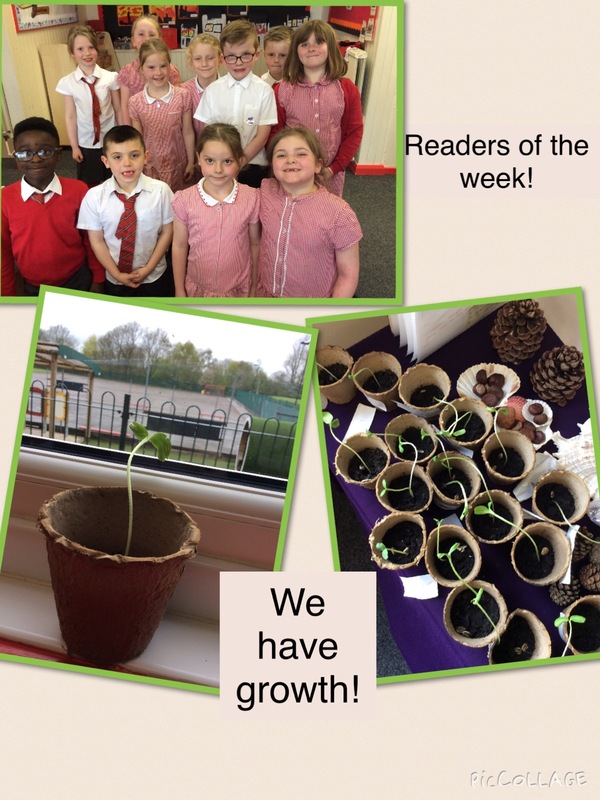 We will be keeping a close eye on them over the half term to see how big they grow. We need to make sure they have enough sunlight and water so they grow well. This entry was posted in Year 2 and tagged Eco, Science on April 27, 2018 by MissGregory.